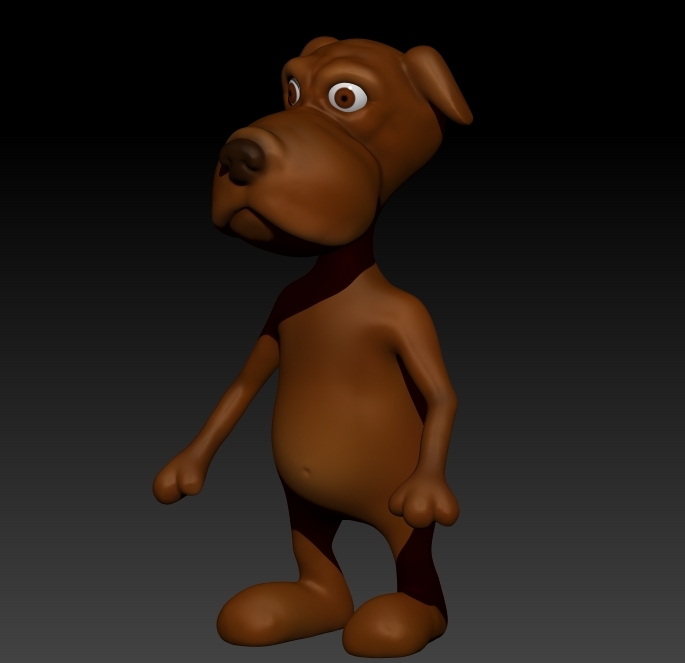 In this part (5) of the tutorial on creating a cartoon dog I used polypainting to colorize the character. I turned the Dynamesh from the last tutorial into a Polymesh 3D (Make Polymesh 3D button) and then I subdivided 2 times. The character now as 1 milion polygons, not much, but in my opinion it is enough for a cartoon model because we won’t add so many details to it. As you may have noticed I removed our eyes we added a tutorial before. 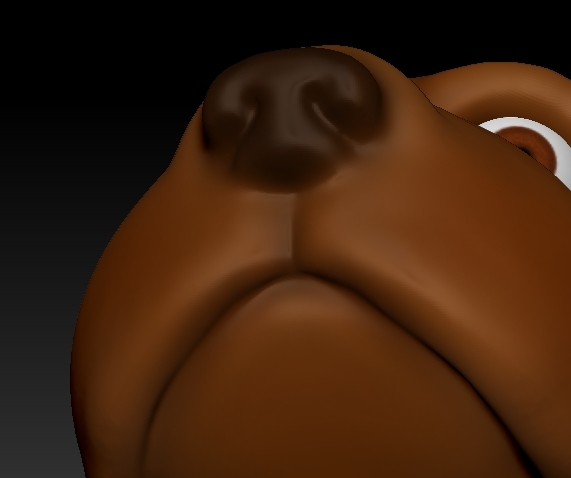 I wanted to make use of the eyes I created like the ones showed in the ZBrush eyes tutorial. I imported the eye that I stored as ZTool, appended it to the dog tool, scaled it and moved it to the right position. In the next tutorial of this Zbrush series I will do retopology for the model by using the tool topogun. For those who do not know what retopology is: The model at this point of the process has 1 million polygons which is too much for using it in games or even animating it with a tool like Blender. The retopology process is used to decrease the number of polygons but as I said, this subject will be covered in the next tutorial.